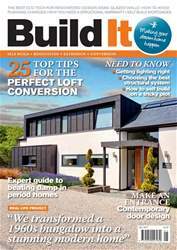 With the self build exhibition season getting into full swing, it’s a busy time of year for me. First up was the January show at the National Self Build & Renovation Centre (NSBRC) in Swindon, which was a great success. Next were Build It Live’s events in the south east and north west, which attracted almost 12,000 visitors across two weekends. In June, Build It Live will be returning to Bicester to develop the success of last year’s launch event.